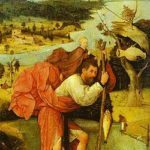 Christopher L. Webber » Blog Archive » What’s in a Name? A sermon preached by Christopher L. Webber at the Church of the Incarnation, San Francisco, on January 1, 2017. Now, unfortunately, I don’t know the end of the story, but if I had to guess, I would guess that the rabbi probably explained a thing or two and they chose another name. Names have meanings – usually. And names matter. Christopher, in case you don’t know the legend, comes from the story of a strong man named “Offero” from the Greek word for carrying. Offero wanted to use his strength to serve a great king but found no one great enough to win his allegiance until one dark and stormy night he found himself on the bank of a river and heard a child’s voice asking him to carry him across the river. So Offero set out to do it but the child became heavier and heavier and he barely made it across. 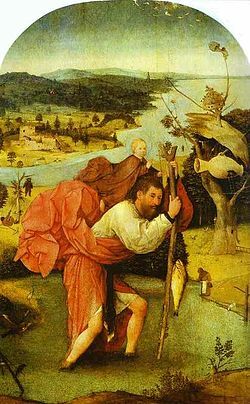 But then he learned that he had been carrying the Christ child and the weight of the world on his shoulders and Christ re-named him Christopher – Christ bearer. So it isn’t the usual name in Jewish families. There are stories like that, of course, behind many names and children get named for famous leaders and favorite uncles and aunts and grandparents and the thought is, of course, that all the good we remember in that one may be reborn in the child to whom the name is given. To name someone is to express our hopes, it’s to attempt to shape a life, it defines, it shapes. When Adam named the animals he was asserting control. And that’s what I’m doing when I name a child or a pet. I name them, and they come when I call. I have no right to name my neighbor’s child or even my neighbor’s dog. They are hers; not mine. When she calls them, they come. When I call them, I’m asking for trouble. I suppose almost every culture thinks about names that way. I know there are cultures in which a child’s real name, an adult’s real name, is kept secret, never revealed, because to know the name is to control, to own. If I know your name, I can invoke evil against you. It’s better not to let you know my name because who knows what you might do with it. Names matter. We hope to make a name for ourselves as honest, faithful, good, and worth remembering, because if our names are forgotten we ourselves are forgotten. In the old Prayer Book and for centuries before when a baby was brought for baptism the priest was instructed to say to the parents and Godparents “Name this child.” And they would pronounce the given name or the Christian name. The family name was inherited so no need to repeat that. But the given name was chosen and given in baptism. 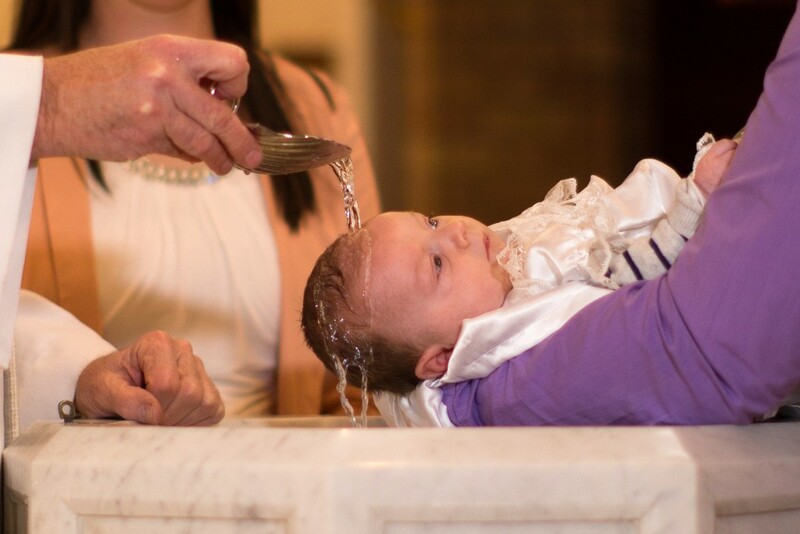 My father-in-law, also a priest, liked to tell of a baptism he did in a small town in Montana. The mother of the child unfortunately was not married and the father of the child was not present at the ceremony. 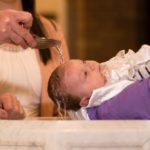 So my father-in-law came to the line, “Name this child,” and the answer came back, “John Jones.” And my father-in-law said, “John, I baptize you . . .” only to be interrupted by a senior relative saying “Jones; that were his father.” But the point of the baptismal naming – played down in the current Prayer Book to make allowance for adult baptisms where the name may have been given long before and without reference to God – the point of the baptismal naming is that the child is no longer one more baby, but an individual with a special name and that God knows that child by that name – knows you by your name, has a personal relationship with you. Of all the millions and billions of human beings, God knows you by your name, you are special, and you belong to God. When God calls you by name, you should come. You belong to God. Now, the converse side of that is perhaps even more important: that you – we – also know God by name. That side of the relationship is just as important and maybe more so. And that side of the equation also has a history. There’s a long rich history in the Bible of God giving names to human beings. 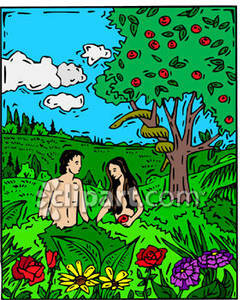 In the Book of Genesis God creates Adam and Eve but doesn’t name them. God brings the animals to Adam to name and Adam names them, but Adam is just Adam – of the earth – and Eve is just Eve – the mother. They are nameless progenitors, symbolic people, representative people. They are not, as the fundamentalists like to think, specific human beings, placed in a specific garden somewhere in the middle east 4000 years ago. No, Adam and Eve are symbolic figures and they name Cain and Abel as naturally as they named the animals. But God never names a human being until later in the story, until we move beyond the Creation myths and come to solid history. Then, when God calls Abraham, a specific figure living in a particular place, calls him out to be the father of a new people, to be the ancestor of a special people with a holy purpose, God gives that historical man a new name, no longer Abram but Abraham. God knows Abraham, this specific historic person, by name and God also renames Abraham’s grandson, no longer Jacob but Israel. And. of course, as we heard in Advent, God sends an angel to announce not just Jesus’ birth, but his name. So now, on the eighth day, we celebrate Jesus’ name, the giving not only of a child but a name by which he is to be known. And why does it matter? What difference does it make? Here’s why it matters. Go back to the Bible again and notice this: When God appeared to Moses in the burning bush and told him to tell Pharaoh, “Let my people go” and Moses asked for a name, God gave him the name “Yahweh.” In other words, God gave Moses a name to use to call on God. I think we take it for granted. Well, of course, God has a name. But remember what I’ve been saying about names, that to know a name is a kind of control. If I know your name, I have at least some control over you. I can at least make you look around when I call out your name. Try it this morning. Downstairs at coffee hour, if you spot someone across the room and call out their name they will at the least look around and maybe come across the room to see what you want – as if you had a line attached to them and could reel it in. You have that power over someone whose name you know. You can’t do that with a stranger. If there’s someone across the room and you don’t know the name, you have no power over them. You could try, “Hey, you!” but that doesn’t get you off to a good start. I grew up in a small town and when dinner time came mothers would go out the back door and yell, “Johnny” or “Suzie” and Johnny or Suzie would come from blocks away as if reeled in on a string. That’s power! A name gives control. And God gave a name to Moses to call on God. You can call and God will come. Yes, God gives us that power. You can call and God will respond. And Christians have another name to use and that’s the name of Jesus. The God of Moses answered their prayers but the God of Moses was still a distant God who came down on Sinai in thunderclouds while the people stood back and told Moses, “You go talk to God, but not us.” That was the awesome God whose name was known but never spoken. Even today the sacred tetragram is never spoken in the synagogue. Indeed, in Jewish writing, you often see the word God spelled without a vowel – G dash D – so it can’t be pronounced, can’t be spoken, because if it can’t be spoken, it can’t be mis-spoken. Better safe than sorry! And wouldn’t it be good if we didn’t hear God’s name invoked on the street and in crowds as if it were a meaningless term. Wouldn’t it be good if people would at least use the modern sacred and unpronounceable tetragram – OMG. But God took that risk when God gave the sacred name to Moses – that it would be mis-used, trampled on. There was also a commandment given that the name of God not be taken in vain, not used lightly, not casually. But God took the risk of that mis-use to draw into a closer relationship with the people God loves. We have a name to use – but not casually, not lightly. Every knee should bend or every head should bow – and if you instinctively do that when you pronounce that name you won’t call it out in casual conversation. If everyone who uses the names “God” or “Jesus” casually bowed when they did it, you’d see a lot of heads bobbing on Market Street and in Safeway and on the N-Judah. God has given us a name above every name to call on in our need – and in praise and in thankfulness. When you worry about the next President, when a friend or relation is critically ill – when they make it through and come home – when you come to the end of the year with a balanced budget – we have a name to use: “Thank you, God;” “I need you now, Lord Jesus.” Jesus has given us a name to use. So use it. Use it well. Get on a first name basis with God and especially the incarnate God, born for us, here for us: Jesus our Savior and Lord.